Three post-secondary institutions and three school districts in the greater Victoria region have signed a memorandum of understanding to work together to promote Victoria as an education destination for international students. A robot arm that plays chess. An automated solar-powered composter. An autonomous lawn mower. These are just a few of the innovative new projects designed and developed by Camosun’s graduating Electronics and Computer Engineering Technology students to be featured at their year-end “Capstone Symposium,” at the Babcock Canada Interaction Lab, Interurban campus, 10am to 2pm, Friday, December 15. When guests walk into historic Dunlop House at Camosun's Lansdowne campus on Thursday nights in November, they’ll be greeted by friendly and professional students ready to welcome them to their showcase pub. A dynamic team of sharply dressed hospitality students from Camosun College prepared a delicious dinner of herb encrusted pork loin with autumn squash puree, green beans and roasted potatoes for over 600 diners at Our Place Society last Monday evening. Camosun is taking the lead as one of the first colleges in British Columbia to renew its Colleague record system and enhance its internal business processes. Colleague is the college’s integrated system which supports admissions, registration, student academic records, financial aid, payroll, accounts payable and human resources. The system is provided by Ellucian, a global company, which focuses solely on providing higher education institutions with secure business management software solutions and services. In celebration of World Mental Health Day, October 10, Camosun’s Student Society and the Student Mental Health Initiative, Division of Student Experience, invite you to celebrate our commitment to mental health awareness and a compassionate college community. Diwali is the festival of lights, one of the most important celebrations in India. Camosun is pleased to invite you to celebrate this major event on Thursday, October 19 from 4-10pm at Na'tsa'maht (Indigenous Gathering Place). Everybody is welcome to this free event. Camosun alumna reads from her work ‘Teardown’ which explores the themes of interpersonal relationships and nuances of parenthood. “The Interaction Lab has landed at the doorstep of Camosun College,” says Dr. Tim Walzak, Director of Camosun Innovates. “It’s truly a world class space and it has exceeded my expectations about how it’s shaping up.” The Interaction Lab is part of Camosun’s commitment to enhancing Applied Learning, in partnership with Education and Student Experience. The public is invited to Camosun's Lansdowne campus for the Korean Cultural Festival on September 21, 2017 from 11am to 3pm in Na'tsa'maht (Indigenous Gathering Place). The festival is a great opportunity to experience a little bit of Korean culture. Everybody is invited to this free event. With record numbers of international students arriving to begin their studies this fall, Camosun College is increasingly embracing a global perspective that brings mutual benefits through partnerships and opportunities for cross cultural learning. 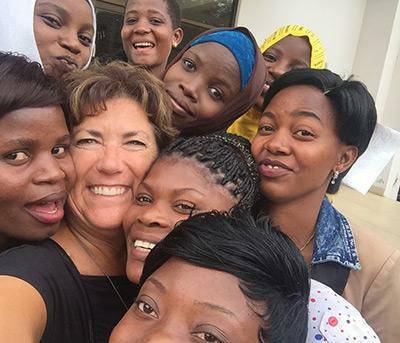 "One of the initiatives our international team is working on is having students attend Camosun from a larger number of countries and in particular from places like Africa, " says Camosun President Sherri Bell who spent a week at Arusha Technical College in Tanzania this summer. Energy technology manufacturer Honeywell donated a turbocharger and instructional materials to Camosun’s Automotive Service Technician program this week. The state-of-the-art piece of equipment will be integrated into the curriculum for the program’s foundation and apprenticeship streams. Camosun students, faculty and staff are invited to participate in one of these Consent Training workshops later this month as part of Camosun’s development of its Sexual Violence and Misconduct Policy. Camosun College is a proud sponsor of the 2017 Pacific Links Bear Mountain Championship taking place in Victoria September 11-17. The event is an official stop on the PGA Tour Champions, welcoming the world’s premier golfers aged 50 and older competing for a USD $1.8 million prize. Friendly volunteers will welcome new and returning students to campus September 5-7. S’TEṈISTOLW̱ 2017 runs August 23–25 at Camosun's Lansdowne campus and is billed as an international gathering for educators, scholars, and knowledge keepers working in Indigenous adult education. Our Continuing Education trades and technology courses help you build in-demand skills and certifications to stay current and even give you an edge over other employees in the Victoria market. Camosun’s robust Continuing Education (CE) program offers over 320 courses this fall to fit everyone’s level, needs, and schedule. BC Premier John Horgan was at Camosun’s Lansdowne campus today to announce free tuition for Adult Basic Education (ABE) and English Language Development (ESL) courses and programs across the province. Camosun College presented the inaugural President’s Award for International Partnership to Her Imperial Highness Princess Ayako of Takamado in a special ceremony on Monday, July 17, 2017. In honour of Pride Week 2017 (July 1–9), Camosun College is debuting two new permanent rainbow crosswalks at both its Interurban (at the bus loop) and Lansdowne campuses (across from Foul Bay Road visitor parking). Camosun College has emerged as a top regional leader in applied research and innovation, says Dr. Tim Walzak, Director of Camosun Innovates. "It sets us apart from other institutions and we’ve made it a top priority for the continued transformation of the college going forward." Camosun College's Computer Systems Technology students will showcase their capstone projects to potential employers and the public. Now, at the culmination of their program (now offered as Information and Computer Systems), these students possess the abilities to design and create exciting and innovative projects. More than 3,500 graduates and guests are expected to attend Camosun College’s 2017 Graduation over four ceremonies on June 15 and 16 at the Pacific Institute for Sport Excellence at Camosun’s Interurban Campus. After ten intense and creative months, this year's students are about to graduate from Camosun College with a certificate in Fine Furniture and Joinery. And now they're laying it on the line with their end-of-year exhibit, showcasing their final projects and submitting their creations to critical judgment by industry experts. Camosun College Plumbing & Pipe Trades student Kyle Horne won gold in the Steamfitter-Pipefitter category at the 2017 Skills Canada National Competition held in Winnipeg, Manitoba over the weekend. If you happen to be flying American Airlines in June or July, you may see some familiar sights. A new promo video featuring Camosun College will air on 27,000 flights worldwide, reaching an estimated 4.6 million travelers. The entire Camosun International (CI) team has become WorldHost certified after completing the course work and attending two full days of training. The goal of this department-wide training is to help enhance international students’ experience at Camosun, from the first point of contact and through their studies. Camosun College’s new Sexual Violence and Misconduct Policy has received unanimous approval by the college’s Board of Governors. The new policy is now in effect with information on support services and resources for students available online: camosun.ca/sexual-violence. The dedicated website provides resources to assist those who need support and those who may give support to anyone who may disclose a sexual violence or misconduct incident. Camosun College has received two substantial grants to support applied research and business innovation from the Natural Sciences and Engineering Research Council of Canada’s (NSERC) College and Community Innovation Program, which expands the capacity of Canadian colleges to work with local businesses to develop new and innovative technologies. Camosun grad Alexander Relf has been recognized as one of the province’s top 30 business people under the age of 30 by BCBusiness. Relf graduated from Camosun’s Hospitality Management program in 2009 and co-founded an Australian-style meat pie business, Peaked Pies, in Whistler. United Way of Greater Victoria’s annual Spirit Awards were presented on April 24th at a gala luncheon at the Fairmont Empress and Camosun’s team claimed victory over UVic and Royal Roads in the annual post secondary cup challenge. 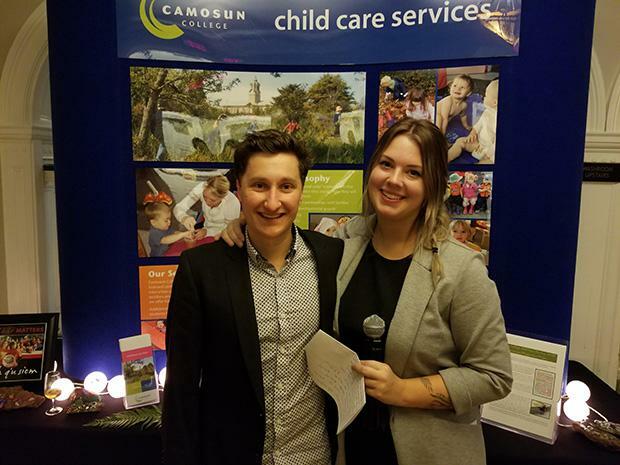 Camosun College Marketing Project Management students raised $13,130 to send rural Zambian youth to the Women for Change Rural Youth Exposure Conference in Lusaka, Zambia this coming August in partnership with their client, VIDEA. Students from all across British Columbia competed in an “Olympic” style trades and technology competition in Abbotsford on Wednesday, April 5 and Camosun College was well represented on the podium, earning five out of ten medals in the South Island category. Improving trades training outcomes and employability for trades students and apprentices is the goal of an innovative program developed by Camosun College for delivery at Riverside College, thanks to $49,980 in funding from the Province of British Columbia and the Industry Training Authority (ITA). Students in Camosun’s Anthropology of Food class will screen the National Film Board production, Theatre of Life. The public is welcome to attend this free event at 7pm on Wednesday, April 5 in the Gibson Auditorium on Lansdowne campus. More than 140 students from Camosun’s Early Learning and Care, Mental Health and Addictions, Sociology and Marketing programs were recently brought together to discuss the complex issue of homelessness in a special collaborative learning workshop funded by a Camosun Creativity and Innovation grant. CSEE Research Project: Looking for your active living photos! How does movement affect student well-being? Camosun students: submit your favorite activity or physical exercise photos today and help our sport and exercise students in their research to improve student life and promote health active living. For only $5 to $40, Camosun’s Dental Assistant students provide low-cost preventive oral health clinics for school age children to young adults. Children are $20 or less! On Friday, March 24, 2017 at the Alix Goolden Performance Hall, 907 Pandora Ave, more than 10 different acts will bring cultures together and celebrate diverse expressions of talent. Admission is free for this family-friendly event. The Camosun College Foundation’s TRADEmark of Excellence Campaign has received the largest gift in the college’s history. The Foundation’s first ever major campaign to create a trades education powerhouse on the college’s Interurban Campus attracted exceptionally strong community support, surpassing the original $5 million goal by 50% to reach $7.5 million raised. The Province of BC today proclaimed March 7 as BC Colleges Day in celebration of the many educational and societal contributions public colleges make to their communities. Camosun’s Interurban campus will be abuzz with activity on Friday, March 3 as more than 1,000 local middle and secondary school students converge for a one-day competition event coordinated by the South Island Partnership and Camosun’s School of Trades and Technology. When you wear a pink shirt this Wednesday, you’ll be standing in solidarity with thousands of others across Canada who wish to stand up against bullying in schools and in work places. Camosun College has entered articulated pathways agreements with six top English language schools. Christiaan Bernard, Director, Camosun International, and Ian Humphries, Dean, School of Access, formally signed the agreements to establish policies and procedures between the providers and the college. Camosun has released the latest calendar for its robust Continuing Education (CE) program, offering over 300 courses this winter to fit everyone’s level, needs, and schedule. Camosun College is working together with students, faculty, and staff across our campuses to develop a new Sexual Violence and Misconduct Policy. Advanced Education Minister Andrew Wilkinson announced today the Province of BC and the Government of Canada are investing $43.5 million in a new Health education centre at Camosun’s Interurban campus.